- Organizing the topical workshops and team buildings. ANUR TOUR Company also provides the complete package of business travel services: air tickets, train tickets, visa support and transfer. Five-star hotel “Jannat” is located in the south side of the city in a distance of the noise and vanity, in ecological and particularly favorable for the rest and living zone. «Jannat» hall is located on the first floor of the hotel. 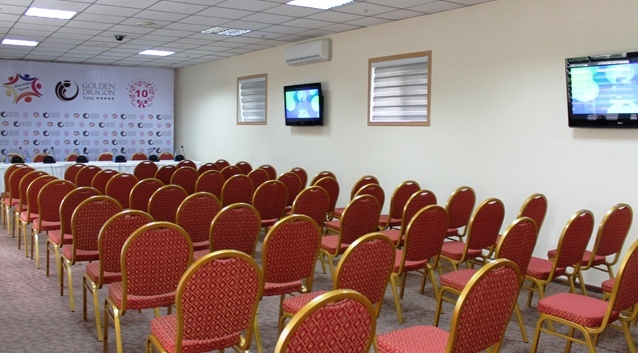 The room is equipped with modern models of audio, video and presentation equipment for a variety of business events - conferences, meetings, seminars, presentations and training sessions. Hall capacity is 200 persons, depending on seating. Eurasia Hall. 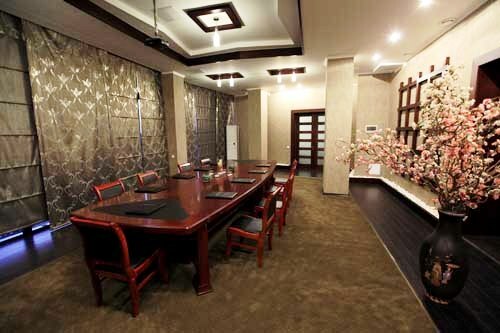 The room in Japanese style is the perfect venue for confidential meetings and negotiations. It is equipped with the latest technology; the room has a projector, screen and tribune. Seating capacity is till 20 people. - Audio record in digital format. 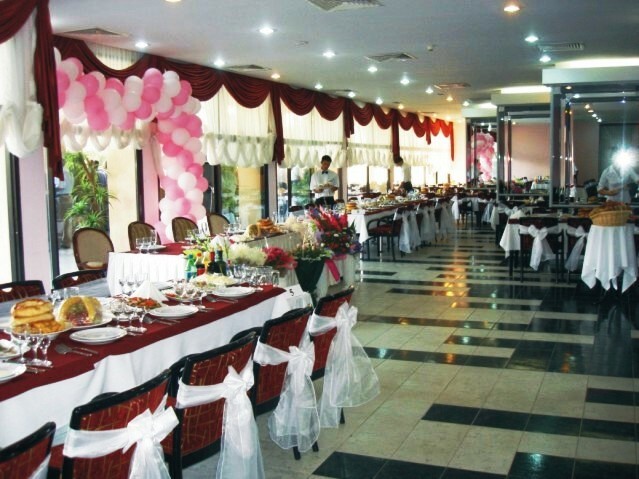 "Jannat" hotel also offers to visit the restaurants of the hotel, which will be to the most refined gourmet’s liking! 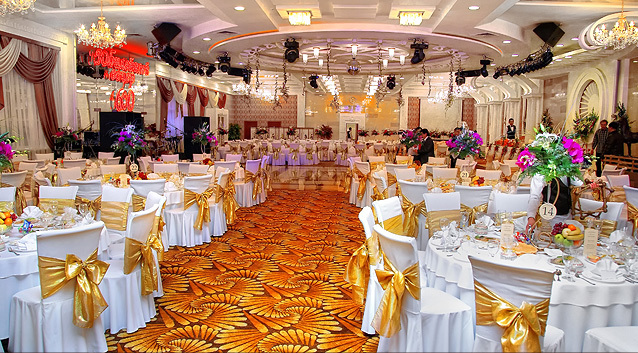 Business services of the “Golden Dragon” hotel are presented by the wide spectrum of Business center and Conference hall possibilities. 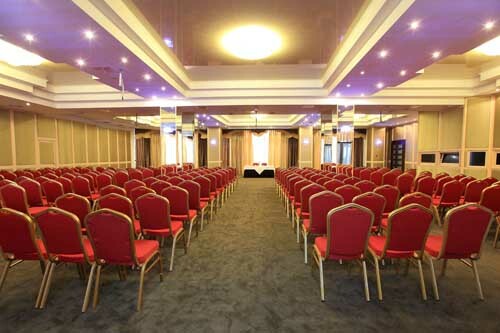 A big and light Conference Hall equipped with modern air-conditioning system, comfortable furniture and high-quality office techniques. 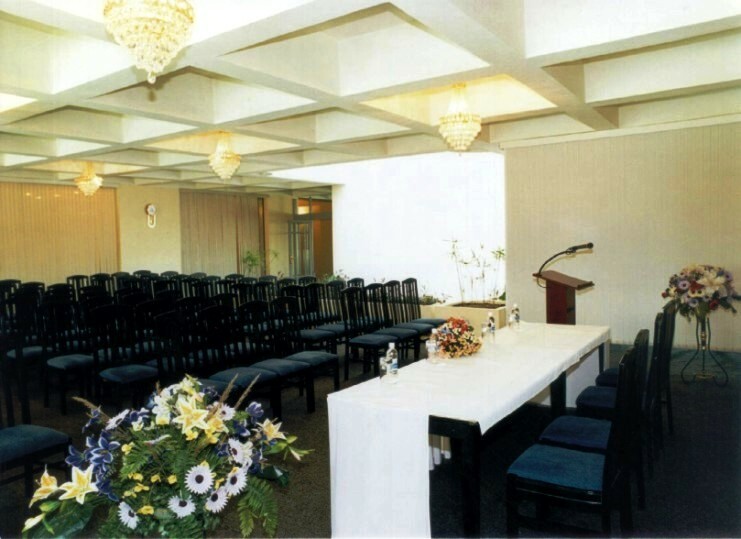 It is an ideal place for conducting events like seminars, conferences, presentations on the highest level. We have an individual approach for organization of any event providing favorable conditions to meet especially your demands. Computers with Liquid Crystal Display, Internet access, copy machine, scanner, fax, rent Laptop, DVD player, VHS, camera, cell phones. 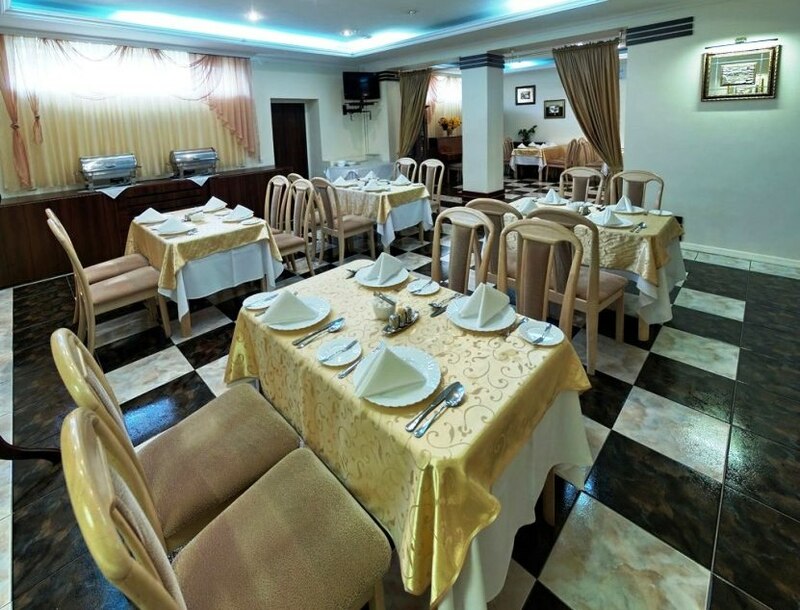 Restaurant "Golden Dragon". The new interior, a delicious menu and cozy atmosphere created by professional service and pleasant music. In a hall with 300 seats can be hold unforgettable celebration: family celebrations, corporate events, presentations and receptions. 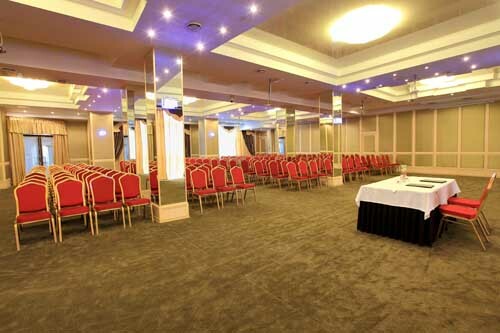 “Ak Keme” Hotel offers wide opportunities for organizing conferences, workshops and negotiations. 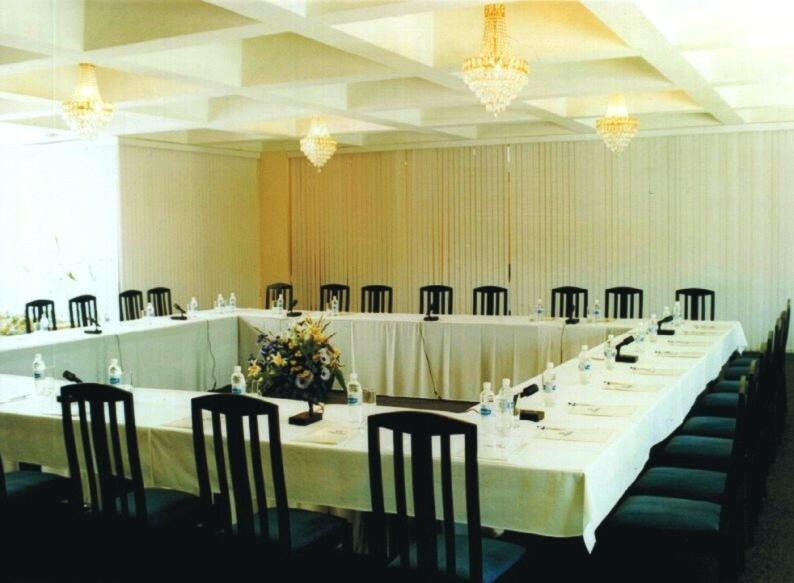 Hotel has five conference halls designed for holding such arrangements. You can choose one, which would meet your requirements best of all. The halls are different by design and size. 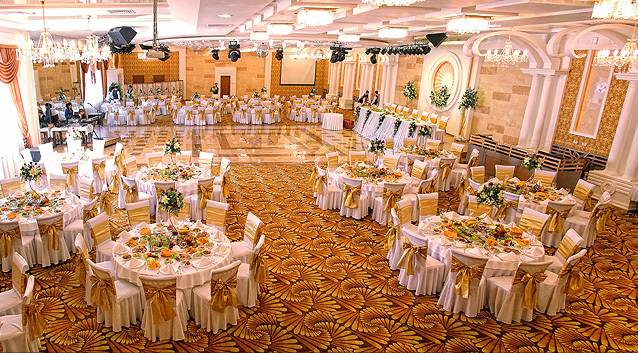 What is common about them is that any of the halls for your arrangement will be at the highest level. Other service: LCD projector, notebook, coffee break, lunch, dinner. 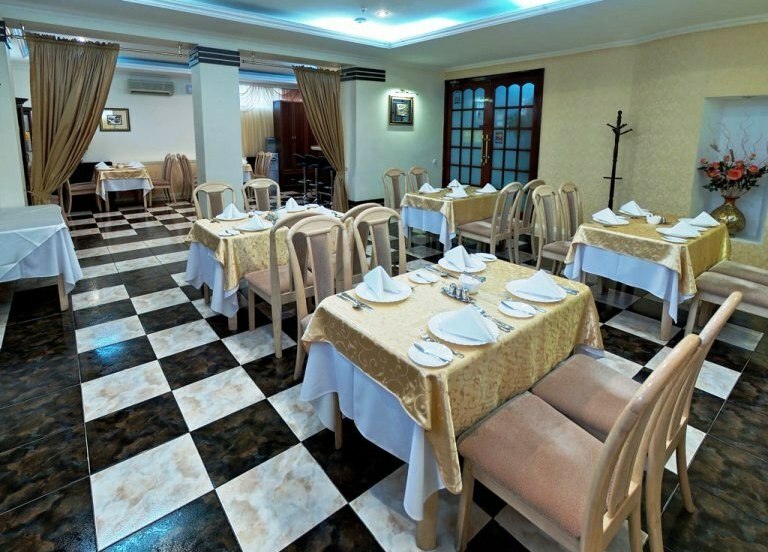 Silk Road Lodge Hotel offering distinctive homely accommodation renowned for its privacy and relaxed formality. 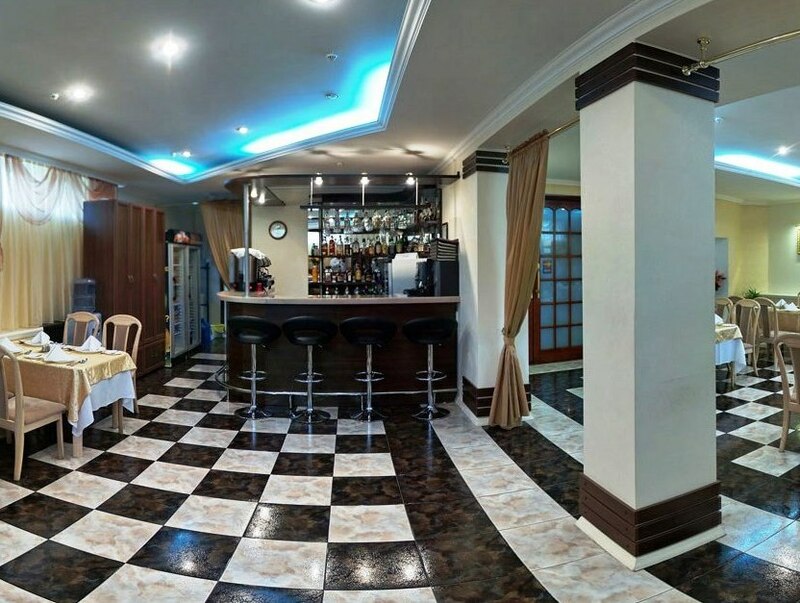 It is a small (28 room) hotel, located in the heart of Bishkek near to the Central Park, only a few minutes walk from the White House and many of Bishkek's best restaurants. 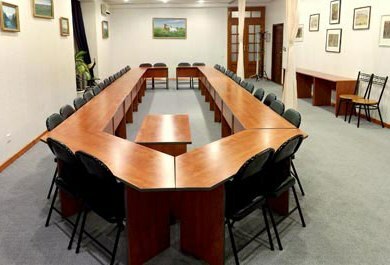 There is one conference room in our hotel with a capacity of 40 persons. We have 1 screen, 2 radio microphones and 2 flip chart boards, which are included to the rental cost of the conference room. Business Centre. 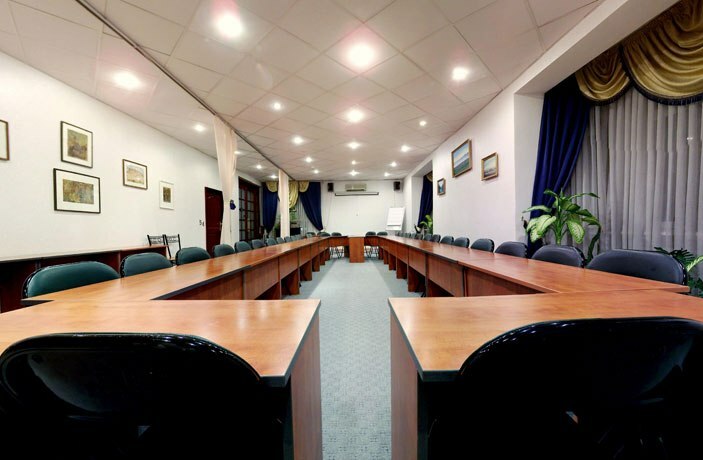 For business needs there is a business centre with up-to-date technologies such as fax, scanner, projector, photocopying facilities, wireless Internet access and a conference room. 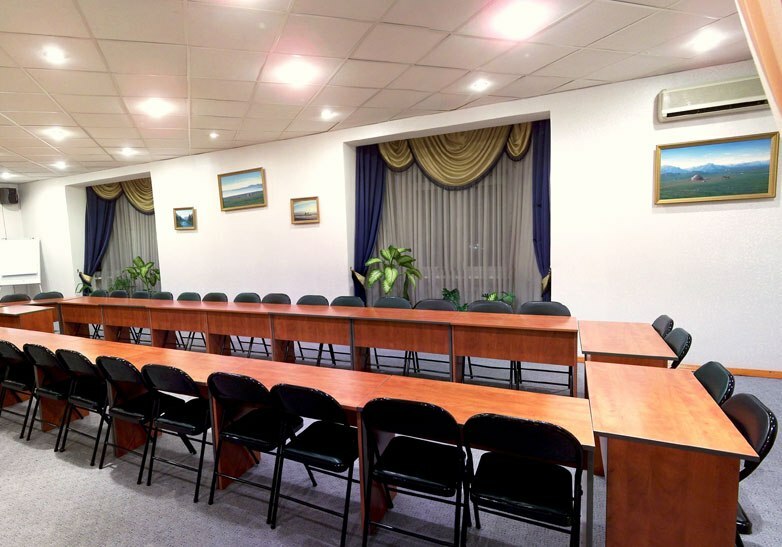 The conference room is a light and airy hall which can accommodate up to 40 people. Computers, printers, faxes can be hired for use in rooms. Video machines and CD machines are also available for hire — with a selection of videotapes, DVDs and CDs available for guests to use, at no extra charge. Business Centre also offers the following services: E-mail / Internet access; arrange meetings by telephone; assist with visas and OVIR registration; can arrange transport services, interpreters, book tours in-country, or to China and elsewhere.